I can honestly say that being on the cover of a magazine has never been on my bucket list. Targa Newfoundland, yes. Bonneville, yes. 100AW, yes. Spraying champagne, yes. Magazine cover? Nope! 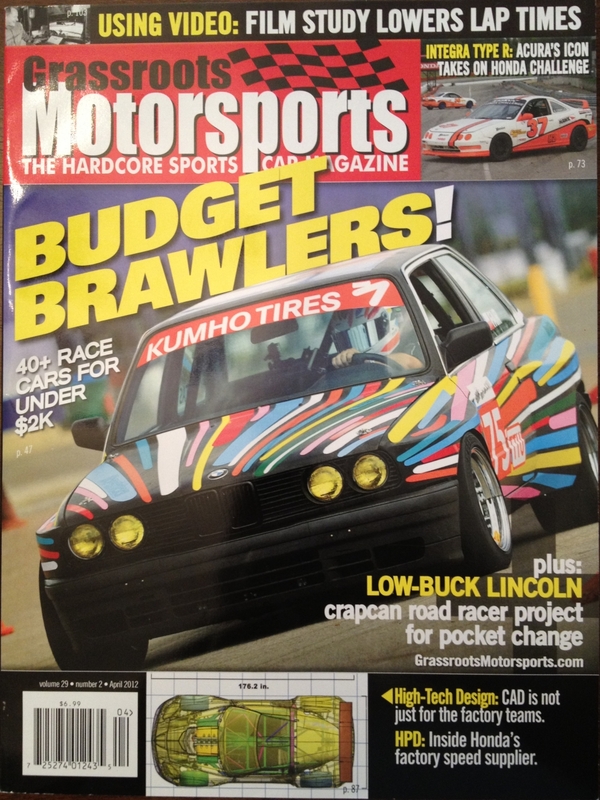 Not to say I wasn't happy, because I thought it was pretty darn cool that the Vorshlag 'Scrappy' e30lsx won the GRM 2011$ Challenge and I figured the car would end up on the cover. However, I thought it might be a picture from the concours event with lots of folks around, perhaps in the staging lane of the drags, or maybe one of the after-event pictures that was taken at a few quick shoots by the GRM pros. But nope, the picture that ended up on the cover was with me autocrossing the little beast and it came out quite well I think! 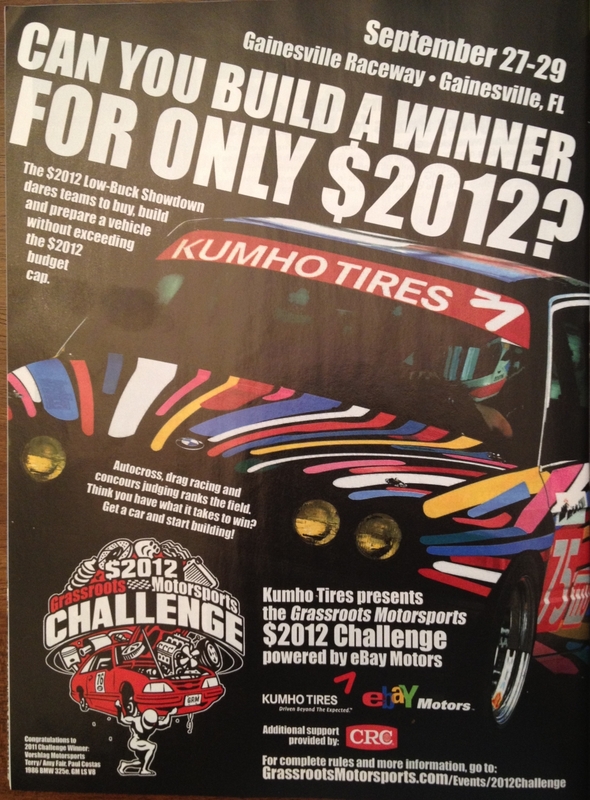 GRM ran an ad for the 2012$ challenge in the June 2012 issue using the same image, see below. Full-page ad FTW. 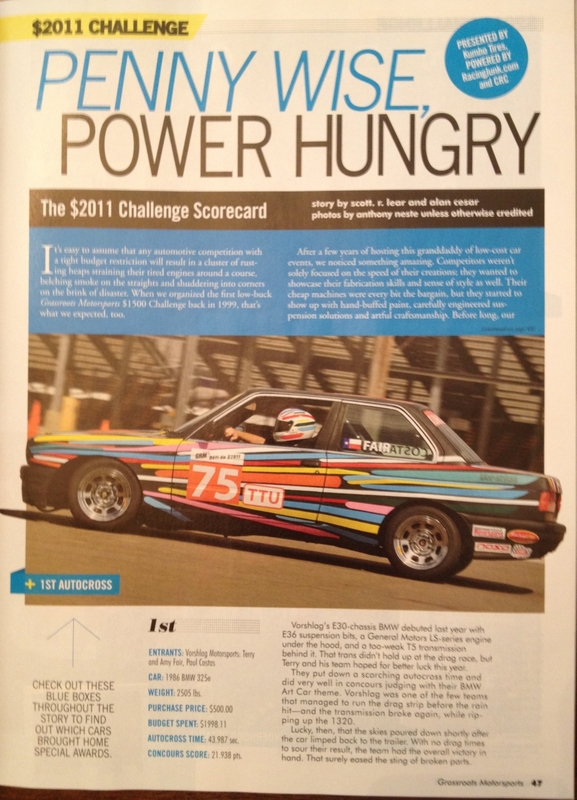 GRM also did a 4+ page spread on Scrappy (and our Vorshlag team) and the Condor E30 challenge car back in October of 2011, and then I got a short write-up for winning the NARRA event in the Dec 2011 GRM issue also. So, I'll continue to knock down those bucket-list items and see where the next images turn up!